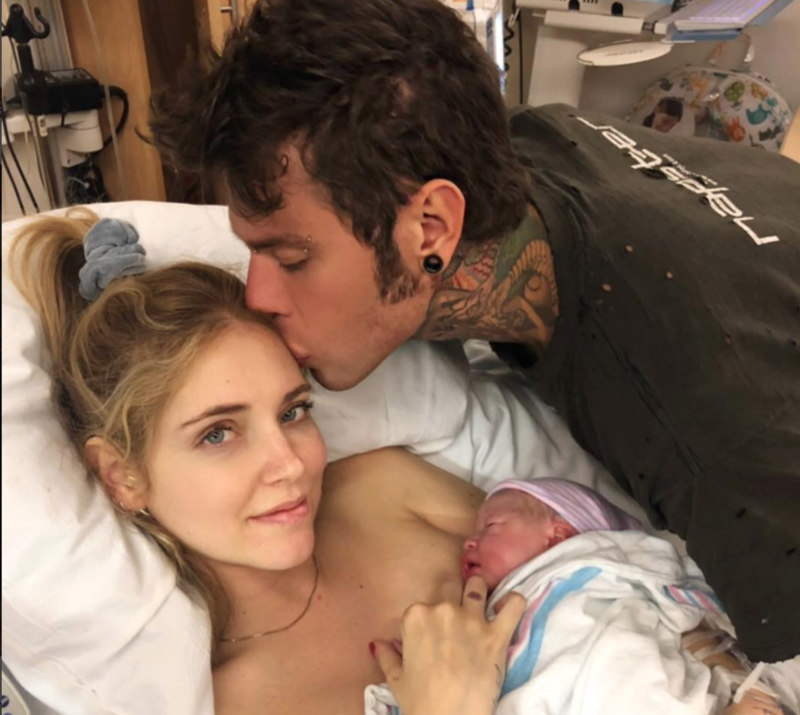 Falling in love in the digital age and deciding to have a kid while constantly connected to social media: It happens, if you’re Chiara Ferragni and Fedez. 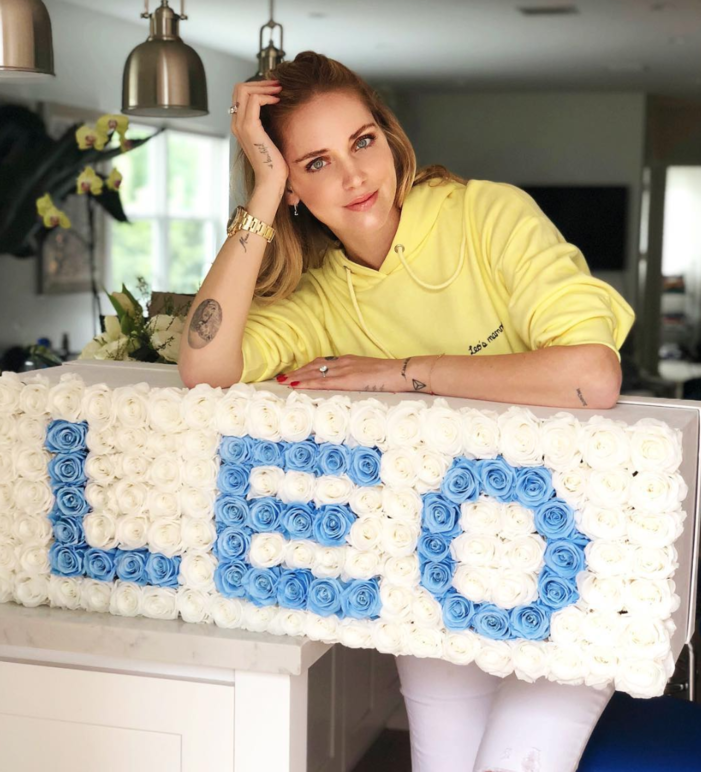 During the birth of the couple’s firstborn, one of the thousands of people who, between Instagram, Twitter and Facebook, was following every minute of Ferragni’s labor, commented, “Not even in Bethlehem 2,018 years ago was there this much anticipation.” Little Leone Lucia Ferragni (Lucia is Fedez’s last name) came into the world in the wee hours of March 19/20 at the exclusive Cedars-Sinai Medical Center in Los Angeles, the hospital of VIPs, the same place Beyoncé gave birth. Before they met, Ferragni and Fedez were logging onto social media every day to discuss their careers and love life. Nor did that change after they got together; in fact, it intensified, as the two showed off their most private moments in the public square. For example? In their case, ordinary lovers’ quarrels become instantaneous social media phenomena, even when they fight in private, once their followers realize the two have stopped following one another. And again, the declaration that for normal couples represents a private, intimate moment in their lives, for Chiara and Fedez was shared at a concert in front of thousands of people and streamed live on the Internet. Fedez sang a love song to Ferragni, a song written specifically for Ferragni, then got on one knee, fished the ring from his pocket and, sticking out his tongue just like accountant Fantozzi, without uttering a word, made his declaration and got his yes (who would have guessed?) with a simple nod from blond Chiara, elegant in her YSL dress. The love story marked the end of old-style gossip and the role the paparazzi played until just a few years ago. The “Ferragnez” duo directly affects public opinion through social media, putting themselves on display, interacting with their followers, and ushering in a new and unfiltered type of communica-tion. To say nothing of the couple’s dynamic—emphatically unconventional in Italy’s patriarchal society. Of the two, Chiara has the more dominant, powerful personality—and twice as many followers. Their behavior runs counter to our nation’s popular couple par excellence, Albano and Romina, where Albano is the husband/boss/commander, the self-made man from the deep rural South, firmly attached to his roots, who made his fortune and married a pretty American heiress, submissive by all appearances, and mother to their four children. The narrative offered up by Ferragni-Fedez is just the opposite, and you can see from their so-cial media posts that she’s in command: she chastises him, tells him what to wear, sets him straight about work. All in the light of day, all with the goal of getting “likes” and heart emojis of approval from their followers, all aimed at influencing what their followers buy. 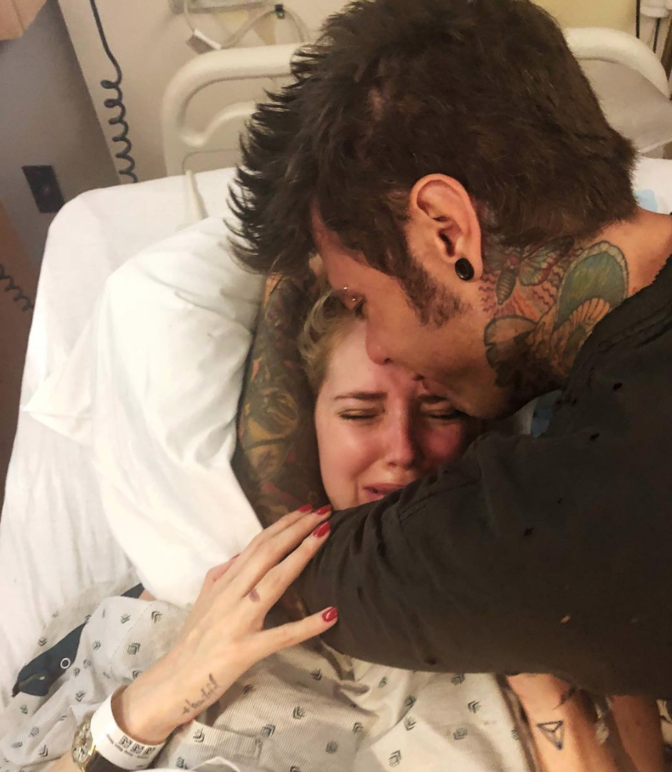 During Chiara’s pregnancy, Fedez posted a picture of the ultrasound image of the fetus, and in a single day was graced with 533,000 hearts and 3,500 comments. The first official photo of little Leone, at two days old, won him 2,275,421 hearts and 39,200 congratulations, making him one of the most followed babies on social media. Even before his birth, Leone—nicknamed “Baby Ravioli” by his parents—has found himself living in a sort of Truman Show, in which daily life—being breastfed, having his diaper changed, making funny faces—is no longer made up of private moments to be kept in old photo albums, but a new way of growing up and existing on social media, constantly keeping your followers updated. And, miracle of miracles, a little figurine of Leone has been added to those of his parents in the nativity scenes in Naples’ via San Gregorio Armeno. That honor is exclusively reserved for VIP, international and homegrown. The Italian royal baby became a member of his parents’ capital venture before he was even born, and it matters little whether he likes it or not. In the photos continually dished up on social media, the little babe never wears the same thing twice, but is always decked out in designer brands, like a good fashion icon destined to follow in his famous parents’ footsteps. At this rate, it’s a matter of days before we see a new clothing brand with little Leone’s name on it. After all, business is business, and, as we all know, like father (and mother), like son.